This is a small cotton blanket I’ve just finished. 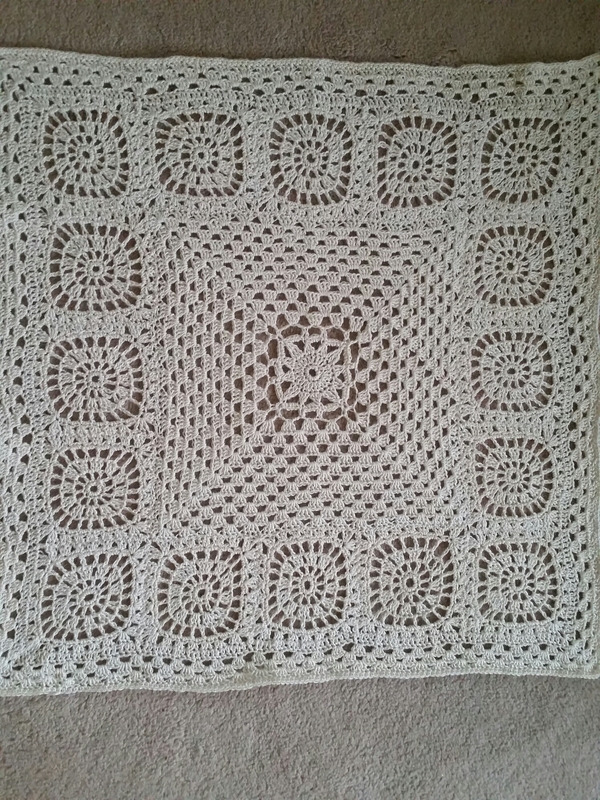 I made it from a ball of my grandmother’s cotton. Although it isn’t huge and could only be used as a car seat blanket, I’m quite pleased with it. I’ve never attempted anything like this before. I had to redo certain parts of it several times, much to the amusement of my partner. I think he must like a woman who swears. Even so, I am looking for something a little more or are to try next time.